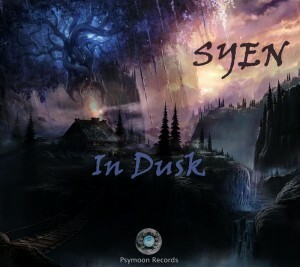 In Dusk marks the debut of Syen (Nikola Stojanovic AKA DJ Johan) on Psymoon Records. A veteran of the Serbian trance scene, Syen is motivated to express deep thoughts and feelings through the infinite possibilities of music. The style of this release is dark and atmospheric with mystic overtones perfectly suited for the night-time dance floor. Mastered by Eldiavolo with artwork by Moonkatwa. MP3 Download | FLAC Download | WAV Download · Download count: 6,113. KiLLeR!!! ;) love the moody & spooky atmospheres… pure psychedelic night monsters! Now I know what they mean by “Dark and Lovely!” This is a short, but sweet collection of the deep forest. I now know why I am really hooked on this stuff, and it is by listening to albums like this. Good work, Syen and Psymoon! Thanks, Basilisk! file:///C:/Users/Mahdi/Desktop/witch%20eniromeent/big_thumb_e4b91b748872d525b406b27efe683dda.jpg picture XD love the set though !! so brilliant and dark. great work!